On arriving in Goa, check into the pre-booked hotel. After making yourself comfortable, set out to enjoy the extended coastline. 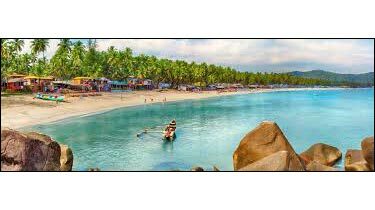 Some of the well-known beaches which are filled with activities are Calangaute beach, Baga beach, Anjuna beach and Dona Paula beach. Spend your day at leisure. Day 2 is booked for exploring the various forts of Goa, which are excellent works of architecture. Some of the forts that you will cover you today are Mormugao fort, Aguada Fort as well as Chapora Fort. Most of the churches and chapels in Goa were built during the Portuguese times. Some of them such as The Chapel of Our Lady of the Mount and Chapel of St Francis Xavier have an extremely imposing architecture. Goa is not only well-known for its ancient churches as well as scenic beauty but the handicrafts of the state are also quite popular. Today you can explore the flea market. In the markets of Goa, shop for Bamboo Work, Shell Work, Creative Pottery, Paper-Mache, Furniture, Brass Work and so on. You will also visit The Handicrafts Centre and The Big Foot Art Gallery, situated alongside each other at Ancestral Goa, a 100-year old village of Goa. You will see an amazing collection of Goan handicrafts. The day is booked for exploring the wildlife of Goa, thus, you will be visiting some of the most known wildlife sanctuaries, which are home to a large number of animal and bird species. You will cover Bondla Wildlife Sanctuary, Salim Ali Bird Sanctuary, Mahavir Wildlife Sanctuary and Cotigao Wildlife Sanctuary. Today, again you are going to pay a visit to some of the most magnificent churches, including The Church of St Francis of Assissi and The Basilica of Bom Jesus, located in North Goa. The rest of the day is for fun and leisure activities. Full day 8 is booked for enjoying the serene beauty of Colva Beach. Relax on the beach. Later, enjoy walking along the shacks and shops. Spend a lazy day. Today you are going to indulge in scuba diving. The starting point is going to be Dona Paula jetty. The other point is Aqua Marine, situated in Panjim. Gear is available on rent. 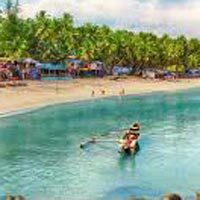 The beaches of Goa are dotted with a number of shacks, which serve some a large variety of food and lip-smacking seafood and delicacies of regional cuisine as well. You can relax by the beach. Panaji, the capital of Goa, is a beautiful place. It houses the Mahalaxmi temple and the Church of the Immaculate Conception. Panaji has clean roads where you can stroll and enjoy the local scenery. Goa also some temples too, which are architectural marvels. 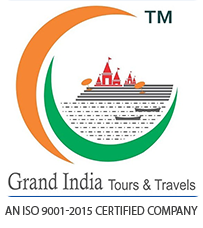 You will visit the Shri Ramnath Temple, Shri Mahalsa Temple and Shri Saunsthan Goudpadacharya Temple. Sea in Goa offers an opportunity to its tourists to enjoy fishing. You can indulge in fishing, after renting a boat. You can either opt for aqua bikes or pedal boats from the Mayem Lake, Dona Paula jetty or Ourem Creek at Patto. During the night, enjoy the never-ending parties. Post breakfast, get an assisted transfer to the railway station or the airport to board a train or catch a flight for your onward destination.